Your water heater will get a workout this winter. That workout will be even more strenuous if you are expecting holiday guests. Now’s the time to think about whether it’s up to the task. The Brooklyn water heater experts at Petri can inspect your water heater to ensure it can handle providing hot water for your family all winter long. We can also make recommendations if it’s due for replacement. Energy savings. Tankless water heaters, also known as on-demand water heaters, only provide hot water when necessary. For some households, there’s no reason to heat and store 50 gallons of water until someone uses it. It takes a lot of energy to heat that water. Space savings. A tankless water heater is 75 percent smaller than a standard water heater. More hot water. Since water in a tankless heater is heated efficiently and quickly on demand by a heat exchanger, you will literally never run out of hot water. 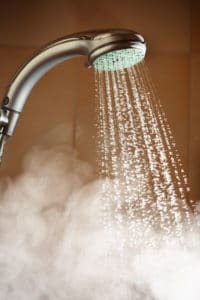 Once hot water is expended in a traditional water heater, it can take some time to heat up more. Not only will energy savings help cover the cost of a tankless water heater, its lifespan is 20 to 30 years — twice that of a standard water heater. It’s also more resistant to corrosion than its standard counterparts because water does not perpetually sit in a tank. The holidays are coming, and house guests are, too. Show some Brooklyn hospitality by providing them all the hot water they could ever want. Contact Petri today for more information about why a tankless water heater might be the best bet for your Brooklyn home. Call us today at 718-748-1254.